This text is designed for a one semester junior/senior/graduate level course in acoustics. 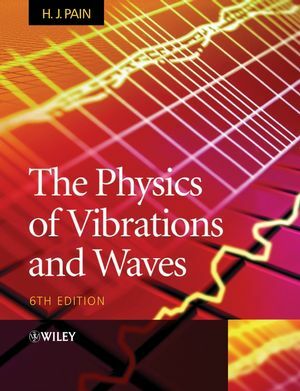 It presents the physical and mathematical concepts related to the generation, transmission and reception of acoustic waves, covering the basic physics foundations as well as the engineering aspects of the discipline. This revision keeps the same strong pedagogical tradition as the previous editions by this well known author team. 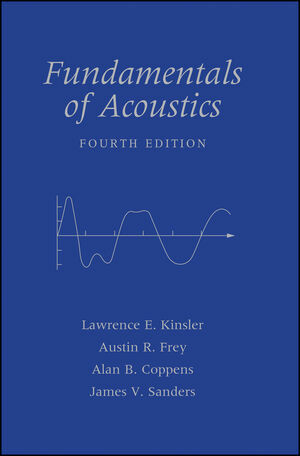 Lawrence E. Kinsler and Austin R. Frey are the authors of Fundamentals of Acoustics, 4th Edition, published by Wiley. In this edition, the chapters have been reorganized to provide a smoother transition to the more challenging concepts. Two new chapters have been added which illustrate how the principles of acoustics can be applied to nonlinear effects. The number of homework problems has been increased to over 700, providing greater opportunity for practice of conceptual understanding. Expanded appendices now provide more information on physical constants, elementary transcendental functions, elements of thermodynamics and elasticity and viscosity. Asterisks in the table of contents indicate optional sections that can be omitted if time is short. The first seven chapters of the text may be used separately to form a shorter course, providing for flexibility of instruction.